When should you use Murad Invisiblur Perfecting SPF30? What’s so special about its formula? How does it feel in skin? How to use it? What are the most important ups and downs? The list of skincare products that you should use in order to have better and younger looking skin is long and not following religiously your skin care routine gets tiring and pricey, after a while. Instead of buying all sorts of cosmetic products to properly care for your skin, you should consider use less, but abler to address more than just one skin condition. It doesn’t have to be sunny for the sun to get to your skin and damage it. It doesn’t have to be plain summer either so that the sun gets easier to your skin. In a nutshell, you should protect your skin from sun’s bad UVs almost all year long. 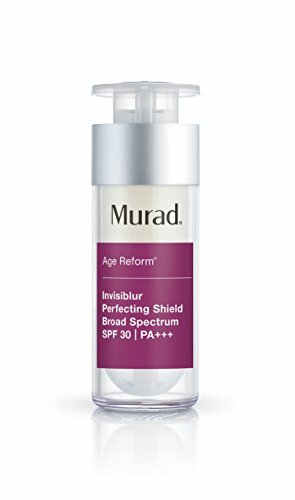 Murad Invisiblur Perfecting SPF30 isn’t a sunscreen, but a serum that also fights the signs of aging and wrinkles. It protects your skin from the sun and has a broad spectrum of SPF30. Due to its formula, it’s also able to improve your skin tone and texture. 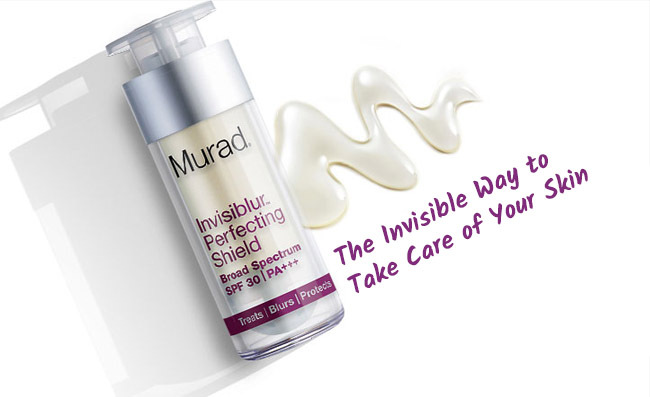 So, when should you use Murad Invisiblur Perfecting SPF30? Pretty much every single time you want to protect your skin and to help it look younger. Which is, always. The invisible skin perfecting shield combines high quality treatment, primer and SPF technologies that blur instantly and take the signs of aging under control. The skin shield’s formula is based on anti-oxidants and plenty of ingredients that are good for the skin. RELATED POST: Dark Underarms- Why Do You Have Them? They are typical ingredients in sunscreen and are able to keep the sun’s UVs away from the skin. Hydrogenated soy oil- is loaded with vitamin B, E and K. it protects the skin from UVs and minimizes the damages of sunburns. It moisturizes the skin and gives it a nice glow. It improves the skin’s appearance and the skin tone. Sunflower seed cake- is full of vitamin E and moisturizes very well the skin. It’s an anti-oxidant that protects against the UVs and addresses acne as well. It helps the skin look all better and has anti-aging proprieties. It sooths the dry skin and has healing abilities. Barley extract-is loaded with anti-oxidants so it protects the skin from the free-radicals. It helps your skin look and feel prettier and healthier. Butylene glycol-it’s important in cosmetic products as it helps other ingredients penetrate better and deeper the skin. It makes cosmetic products thinner and hydrates the skin. It works as solvent. Black currant seed extract-contains vitamin C and anti-oxidants so it slows down the aging process. It also presents anti-bacterial abilities, fighting various skin conditions. Ascorbic acid-protects the skin from the bad UVs and boosts the collagen production in skin. It speeds up the healing of damaged skin and reduces inflammation. It lessens the skin discoloration and brightens skin. It helps the skin look younger and healthier. It also eliminates the under-eye circles. Cucumber fruit extract- it makes the skin softer and improves the looks of oily skin. It moisturizes the skin and sooths in wind and sunburns. Additionally, the formula is gluten-free and reliable for most skin types. The sunscreen feels nice and leaves a soft touch feel on skin too. A little goes a long way and you should massage it smoothly and even on your face, neck and chest. It’s lightweight and glides on easily. It leaves the skin and soft and is great as makeup primer. The perfecting shield spectrum lasts all day long and gives a luxurious feel to skin. We like the sunscreen not only because it protects your skin from the sun’s UVs, but also because it improves the overall appearance of skin, making it as a great option to include in your skin care routine. Recent reviews on Sugar & Fluff Beauty: the Christina Moss Facial Moisturizer, the Tata Harper Elixir Vitae, the Tula Probiotic Skin Care Hydrating Day and Night Cream, the Anti-Aging Face & Eye Serum by BeeFriendly, the Get a Younger Skin with Ogee Seeds of Youth Serum Review.